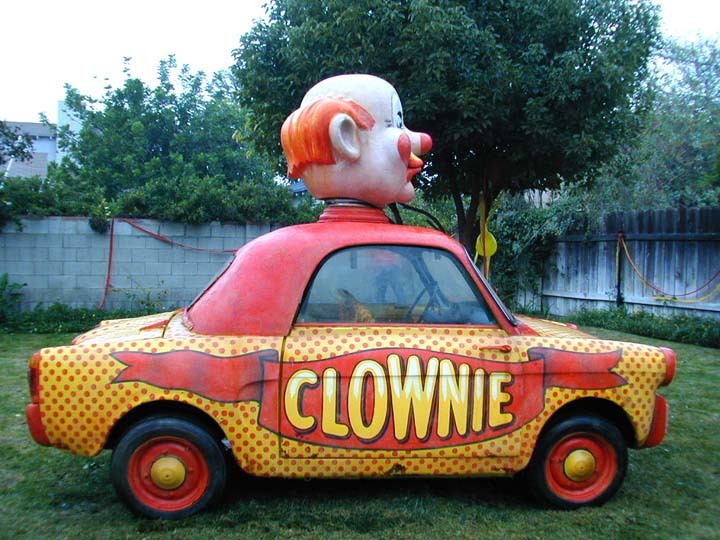 What’s Popping Our of Your Multiple Sclerosis Clown Car? Coulrophobia is the term for an abnormal or morbid fear of clowns. Though some of my dear friends have been clowns, I also know people who are completely creeped out by them. As the ringmaster of our individual three-ring circus of life, we all know what it’s like to try to keep the show running in a professional manner when some “clown” of an MS symptom stages an entrance. It sometimes feels like I’ve got a lion tamer cracking a deadline whip in one ring, a bear balancing a ball of social obligations in a second, while some other aspect of my life is swinging on a trapeze – sans net, of course – in the third. Just when I think I’ve got everything in order, some MS clown runs here or there and disrupts the whole show. If it’s an obvious affront by the made-up interloper, all spotlights and the crowd’s attention is drawn to my stumbling or stammering, my faltering gait, or my pain-etched face. Just as real, however, are the snipes some MS clowns take from the shadows that my audience cannot see. The lead clown exits the car – unfolding to his full height – seeming to take over all space and time and reveling in the attention. Then another symptom opens the other door and enters our life. Then another and another and another. Soon we’re left to wonder whence they could all come: a smiling one, a frowning one, red hair, no hair, big nose, big glasses, big shoes, the honking horn, the squirting flower, a blaring bugle, or a banging drum. They all have their gimmick, their way of grabbing our attention. They each take over the show. We have no idea how all of these clowns could fit in that one little car. Sometimes I wonder how so many odd and differing symptoms can come out of one disease. How can these clowns take aim at our sight, our limbs, our minds, our senses, our voluntary, our involuntary, even (especially?) our spirit all from the same stupid disease? Just when we think that we’ve seen all that could possibly fit into that one clown car emerge, some nagging little thing that runs around the legs of all the other symptoms makes its presence known and we spend time chasing it around all day. There is little that is funny about MS, but I do try to laugh at it – and at myself – as much as possible. Some won’t find my clown analogy amusing at all, while others might fall on the floor laughing at the idea of cog-fog or pins and needles being that little clown running out of the car to muck up yet another show. Maybe it all comes down to how we see our MS clowns… I just wish mine would quit clowning around.